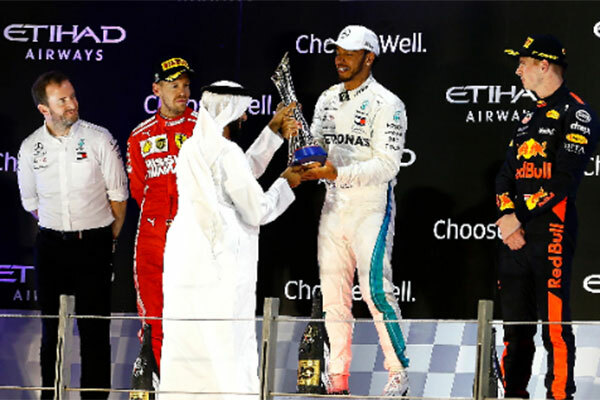 Lewis Hamilton took his 11th win of the 2018 F1 calendar and sealed his fifth championship winning season in style at the Formula 1 2018 Etihad Airways Abu Dhabi Grand Prix on Sunday evening. During the biggest Abu Dhabi Grand Prix weekend to date that earlier saw the F2 and GP3 seasons end with George Russell and Anthoine Hubert being crowned champions in the respective support series on Saturday, the F1 2018 season finale saw Mercedes yet again finish on top going into the winter break – their fifth victory in 10 years at the Circuit. “Again we have seen a wonderful four days of entertainment all over Yas Marina Circuit – from the excitement of the F1, F2 and GP3 series to the varied activities and entertainment in our F1 Fanzone and Oasis areas, and to our four nights of A-list music artist at our After-Race concerts. “Our 10-year track record of offering a world-class weekend of sport and entertainment has placed Abu Dhabi and Yas Marina Circuit on the global event map. Thanks to all the fans who travelled from around the world to support us and made this weekend such a success. Here’s looking forward to another 10 years of success,” he added. In addition to the support F2 and GP3 Series getting proceedings of to an exciting start on Sunday, off-track a range of activities in the Circuit’s F1 Fanzone and four Oasis areas kept race goers of all ages entertained with driver autograph sessions, race simulations, aerial acrobatics displays, live music performances, UAE cultural displays, and much more. At exactly 5:10pm it was time for the main event, the three-way F1 showdown that began in Qualifying yesterday between Valtteri Bottas, Lewis Hamilton and Sebastian Vettel.